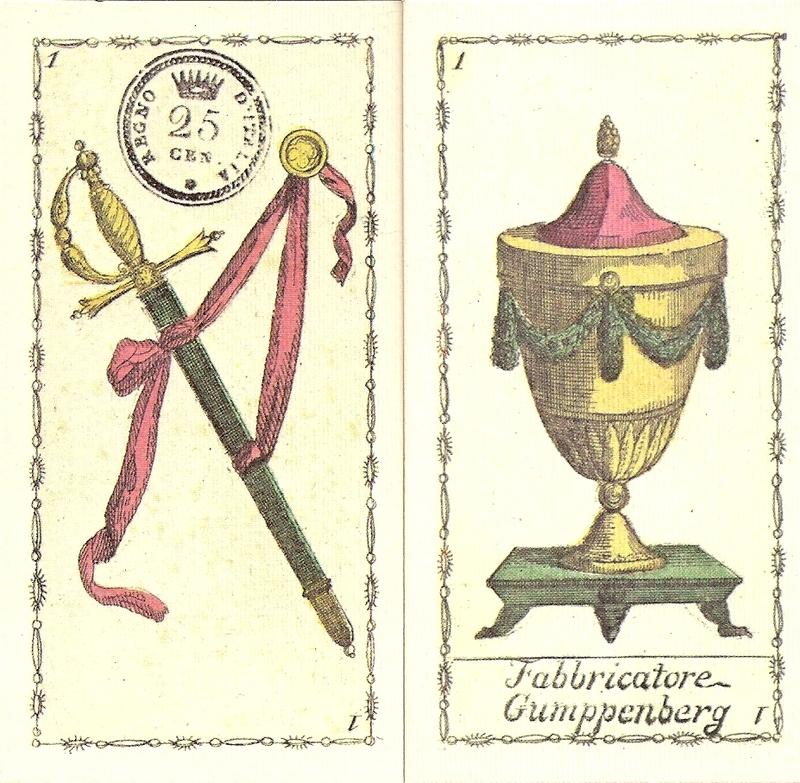 This deck by Gumppenberg was printed from fine metal engraving plates and handcolored. The ace of swords carries the tax stamp valid from 1807 to 1816. 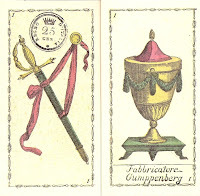 The name of the cardmaker, Gumppenberg, appears on the ace of cups. There are two editions that reproduce the original deck. This one is titled Tarocco Neoclassico Italiano and was first published in 1980 as a limited edition of 1500 and 1984 as a second edition of 999 by Edizioni del Solleone under the direction of Vito Arienti. Mine is no. 642 of the second ed. 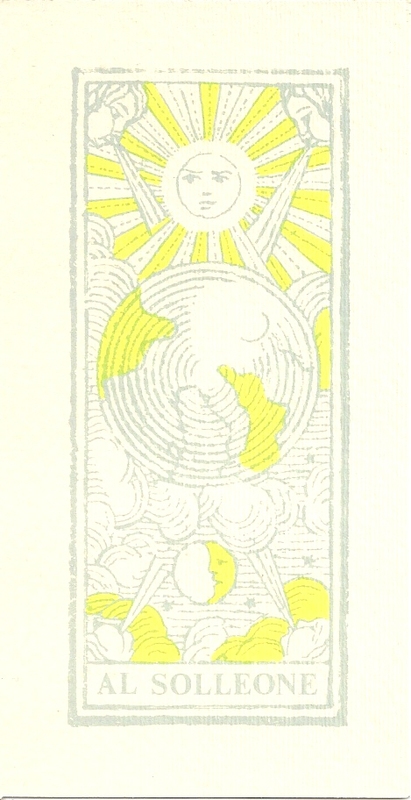 The other edition, which is nearly identical, was printed in 1995 by Lo Scarabeo and titled Antichi Tarocchi Lombardi. 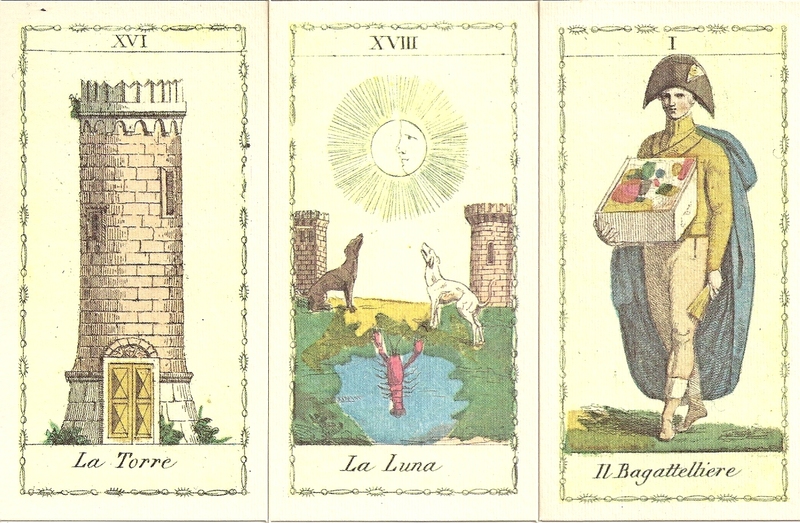 The designs of these two decks have a few minor variations, because the cards for the reproductions are taken from two instances of the original designs: The Ace of sword in the Lo Scarabeo edition has a different tax stamp and it has a slightly different illustration on the death card, all other cards are identical. 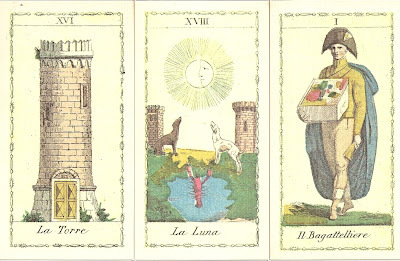 The Major Arcana have Roman numerals and italian titles, and the designs depart from traditional tarot images. The Magician (Il Bagattelliere) is depicted as a travelling salesman, carrying around his wares in a tray. 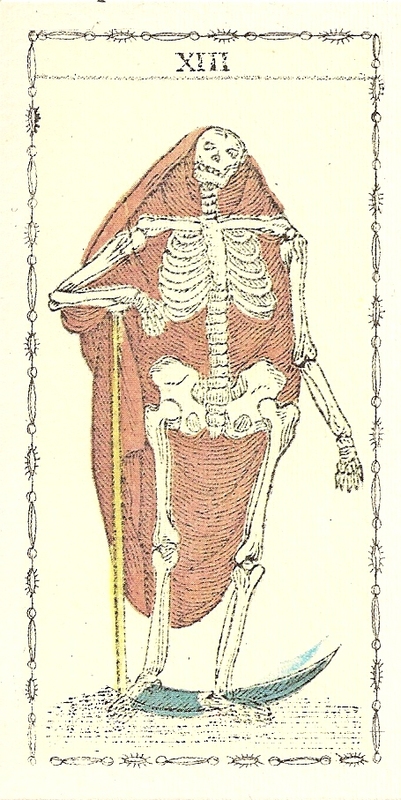 The Lovers card differs from usual renditions by switching the roles of the man and the woman. In the Tower card the lightning stroke and the falling battlements are missing; the tower seems intact and so on. The pip cards in the swords and battons are of the Spanish type and do not interlace. The designs on the faces of the cards have a repeating border design, a thin line of alternating oval and round shapes .